Feeling caught in the blender's swirl? Living in a stepfamily can be confusing. Where will you be this weekend? Whose rules do you have to follow? And why do you have to treat these new kids like they're your brothers and sisters when they're really not? 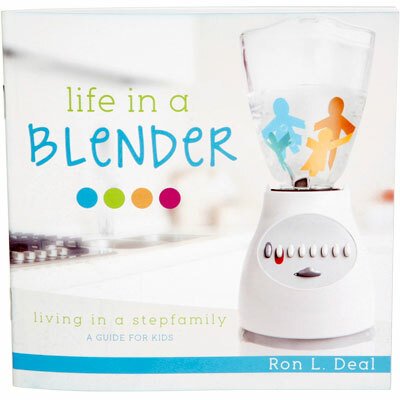 Ron L. Deal will help you navigate life as a kid in a blended family. Learn how to handle the “Big Five” challenges—loss, sadness, fear, guilt, and confusion—and dilemmas kids in blended families often experience. Stop the confusion and hurt of life in a blender. Instead, use this tool to form peaceful relationships that honor God. You may even find that this new family of yours can be filled with blessing. Ron L. Deal is Director of FamilyLife Blended at FamilyLife and President of SmartStepfamilies.com. He is a family ministry consultant and conducts marriage and family seminars around the country; he specializes in marriage and stepfamily enrichment.